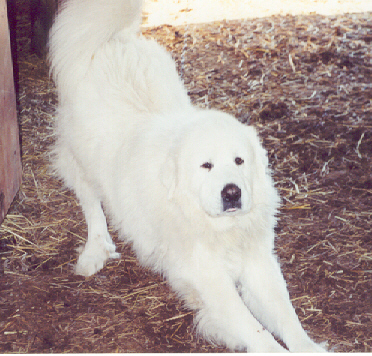 The coyotes who surround us know that this farm is protected by the Great Pyrenese (LGDs) who live with my sheep and so they do not venture into the pastures but go around us. 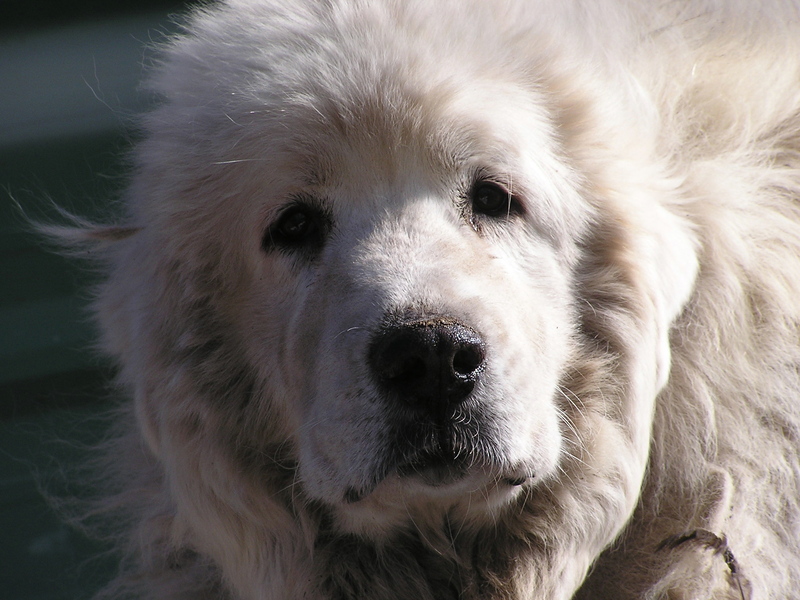 I cannot imagine raising sheep without the Great Pyrenese! 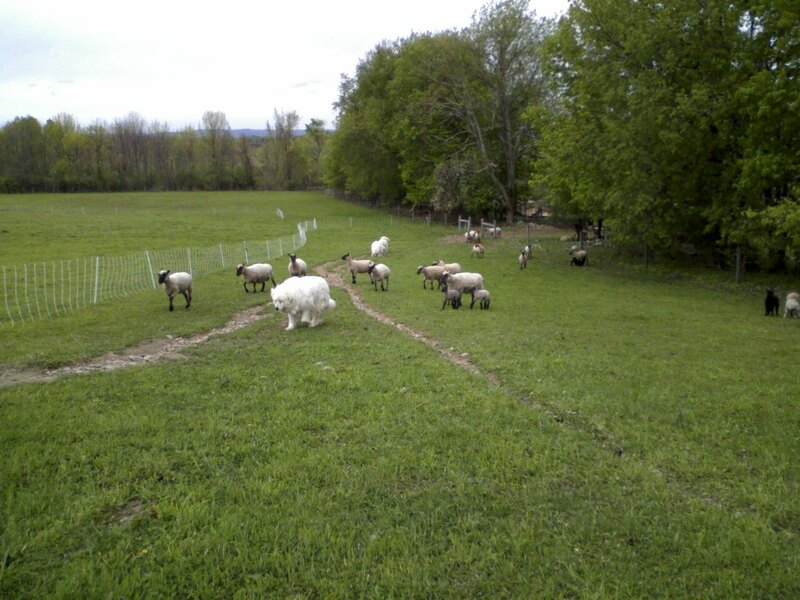 "NEPR was contacted by Tompkins County (NY) SPCA when Bud was found wandering in the northern part of the county. A dog that should have weighed at least 125 lbs., he weighed barely 70, had an extreme bacterial diarrhea and maggots, and his muscles were quite atrophied. Because of the metal stains on his teeth, they thought he might have escaped from a puppy mill but had no idea where. NEPR contacted me and I picked him up, nursed him back to health (after which he was neutered by the SPCA), and fell in love with him. Shy of strangers (esp. men with ball caps and beards!) he bonded to me and I adopted him to stay at the farm. 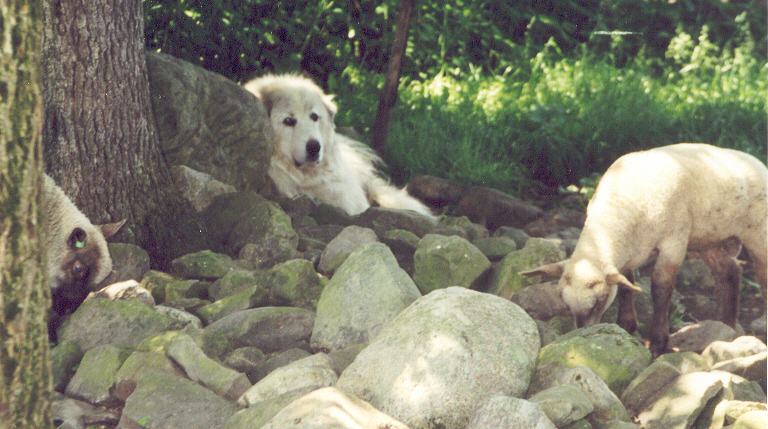 He turned out to be one of my finest livestock guardian dogs and my best friend. When I was out doing chores, he'd step in front of me so I'd have to stop to give him a hug and kisses on the nose. When I'd step around, he'd walk in front to stop me again for more attention. 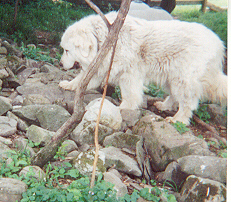 He was nearly 14 when he died at the end of May and I shall miss him forever."